In the shadow of the massive West Antarctic Ice Sheet, tiny creatures harbour clues to ancient environmental changes at the southern end of the world — and to potential future changes around the planet. Ian Hogg, an ecologist with Polar Knowledge Canada who lives in Cambridge Bay, Nunavut, works with a team of scientists from New Zealand and the United States to comb unexplored areas of Antarctica for information about present and past polar ecosystems. “When we look at their genetics,” he explains, “we can see how long different springtail populations have been separated from each other.” That provides the scientists with information about how long particular regions of Antarctica have been isolated and, as it is ice that separates the springtails, the behaviour of ice sheets. The team’s research supports geological evidence that the West Antarctic Ice Sheet — which is two kilometres thick and nearly the size of Nunavut — collapsed about five million years ago. 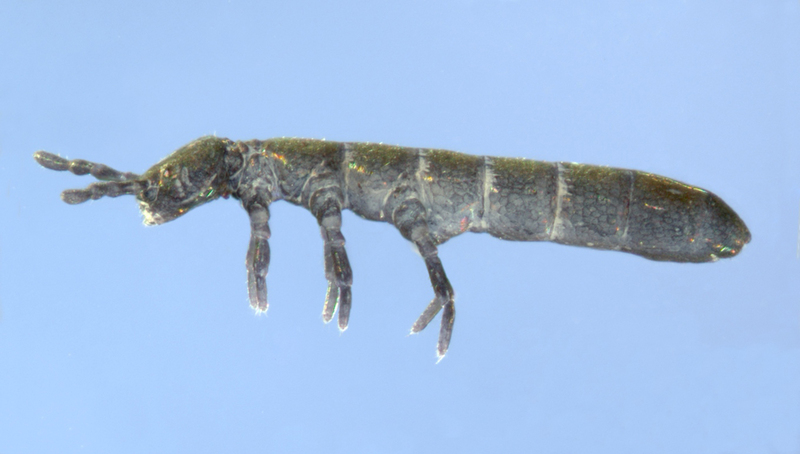 This made it possible for some springtail populations to mix, and their gene pools expanded. The ice sheet eventually returned, and within the last million years has collapsed and returned again, mixing and separating springtail populations each time.